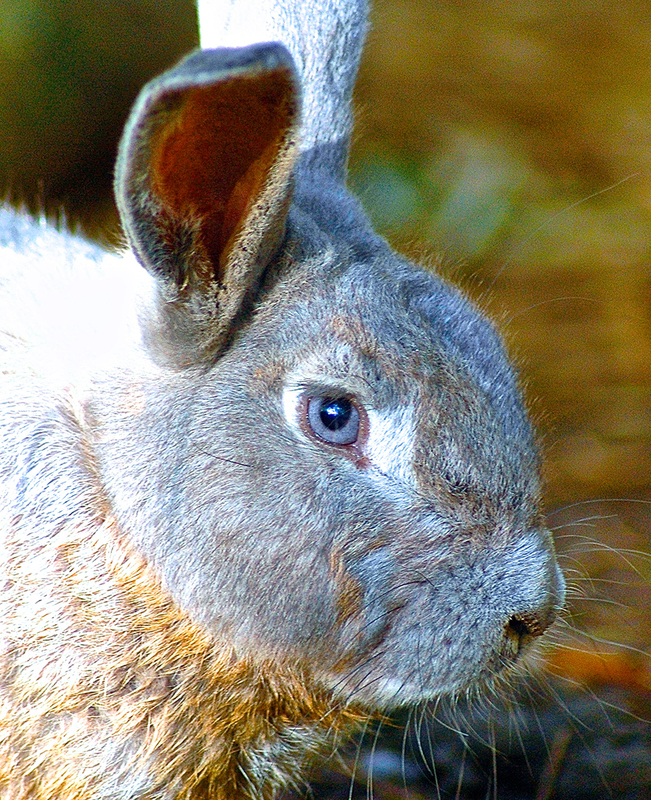 The average lifespan of a rabbit is 8–12 years. 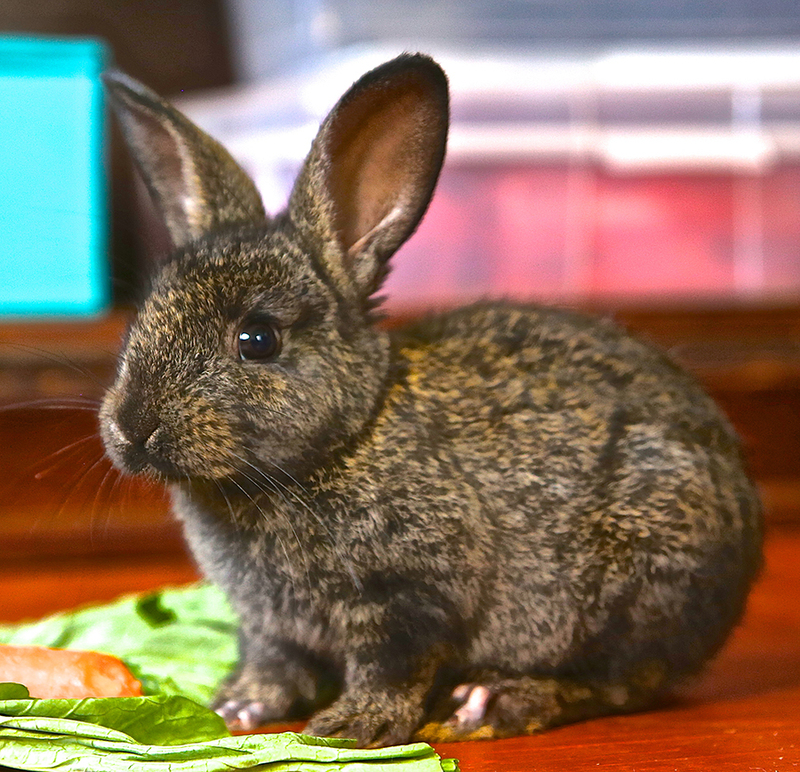 The majority of the rabbits living at Leilani Farm Sanctuary originated as discarded Easter presents. 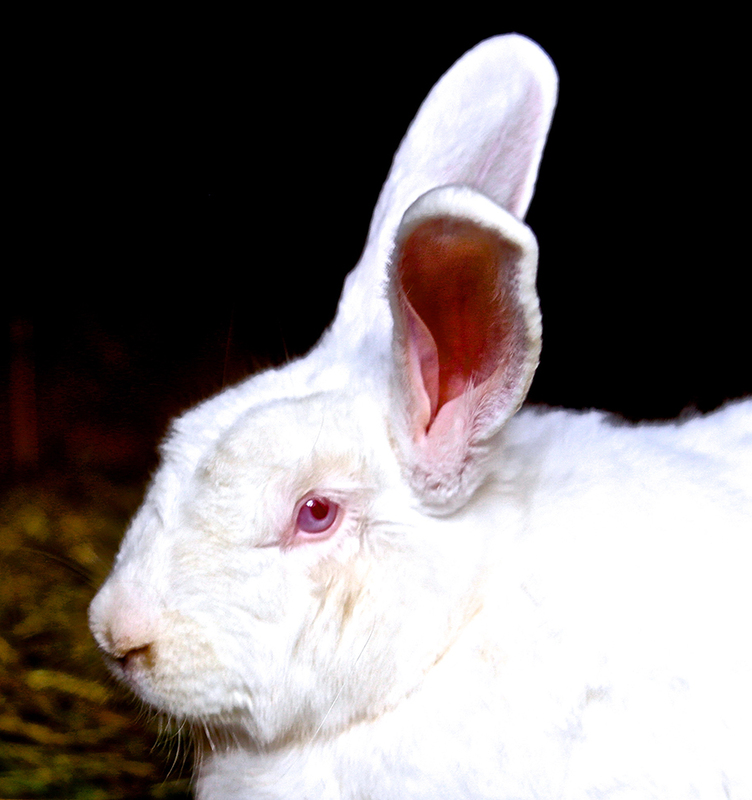 Begonia is a large New Zealand White rabbit who was being kept in a small wire cage before her rescue. 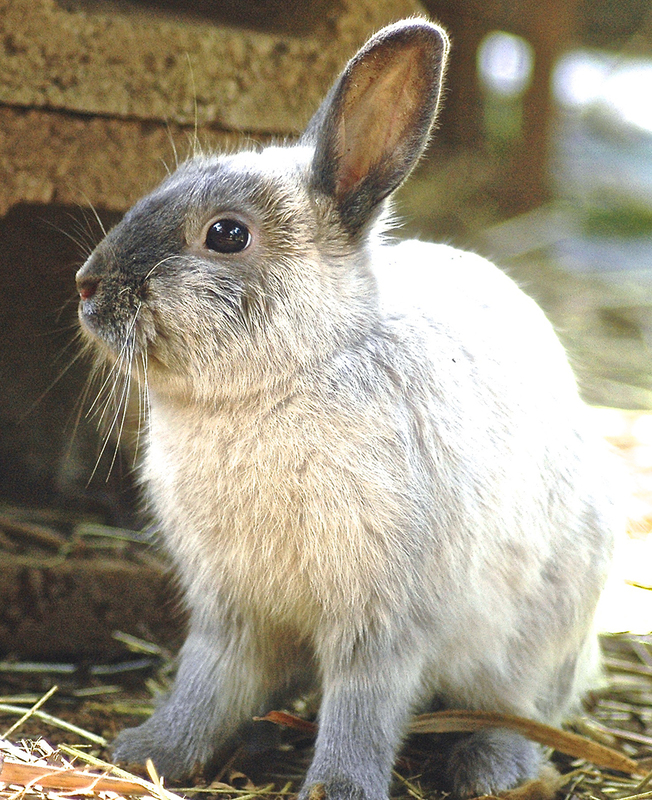 Bobo was left in the drop-off area of the humane society and transferred to Leilani Farm Sanctuary to allow space for more rabbits since all the cages were full. 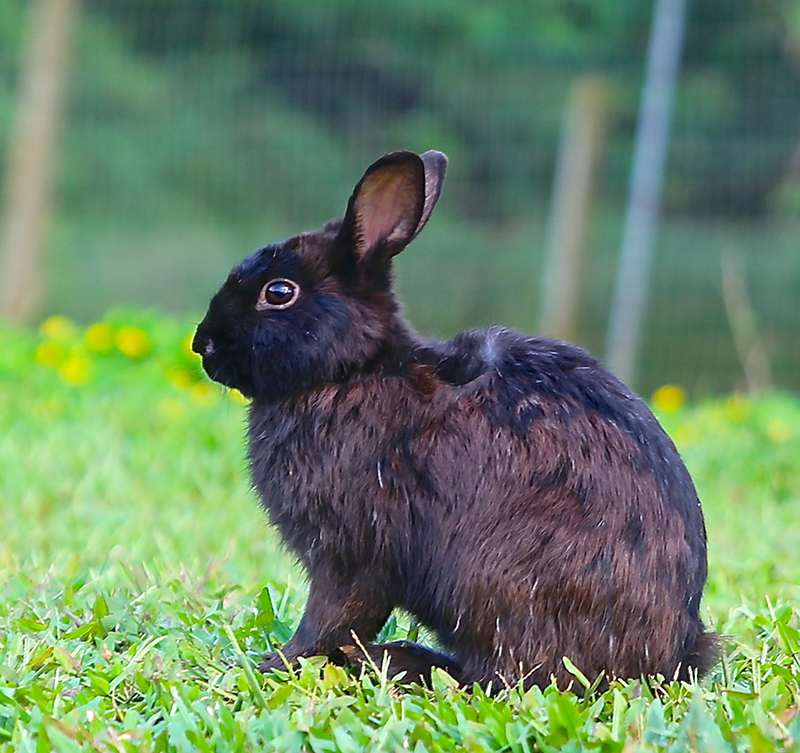 Charlie saved before being eaten by a man. 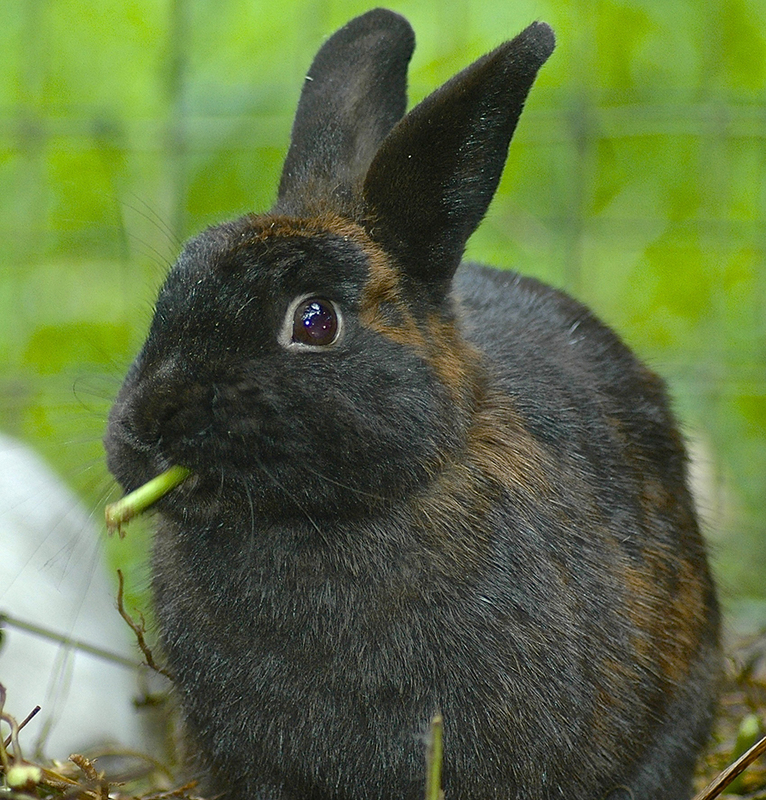 Eunice enjoys raiding the fresh greens growing in the raised garden bed. 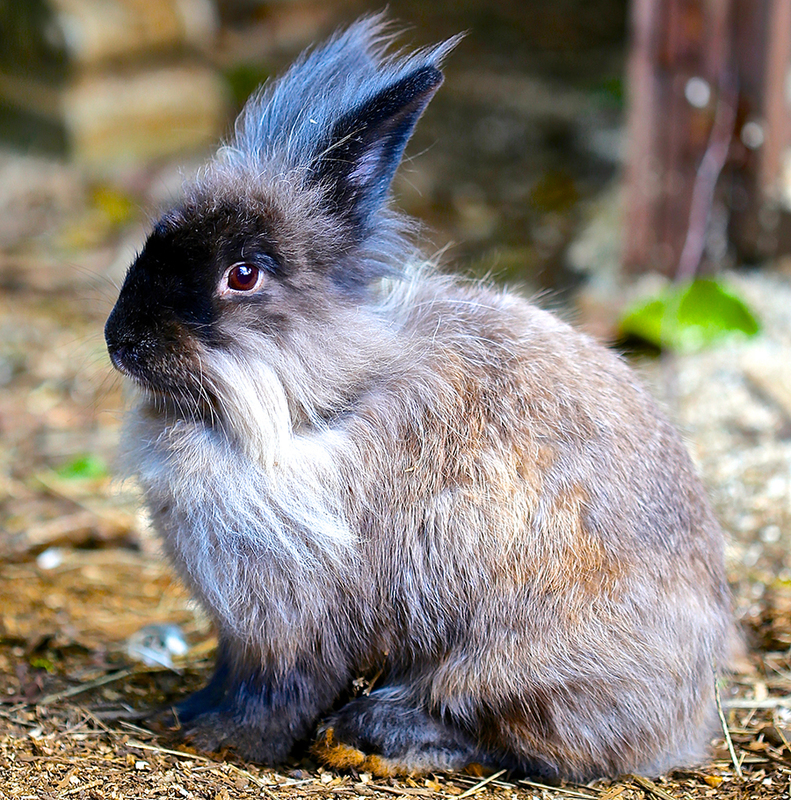 Otto is a Lion Angora rabbit who thrives the cool temperatures of Haiku and loves going in his tunnel with the tortoises. 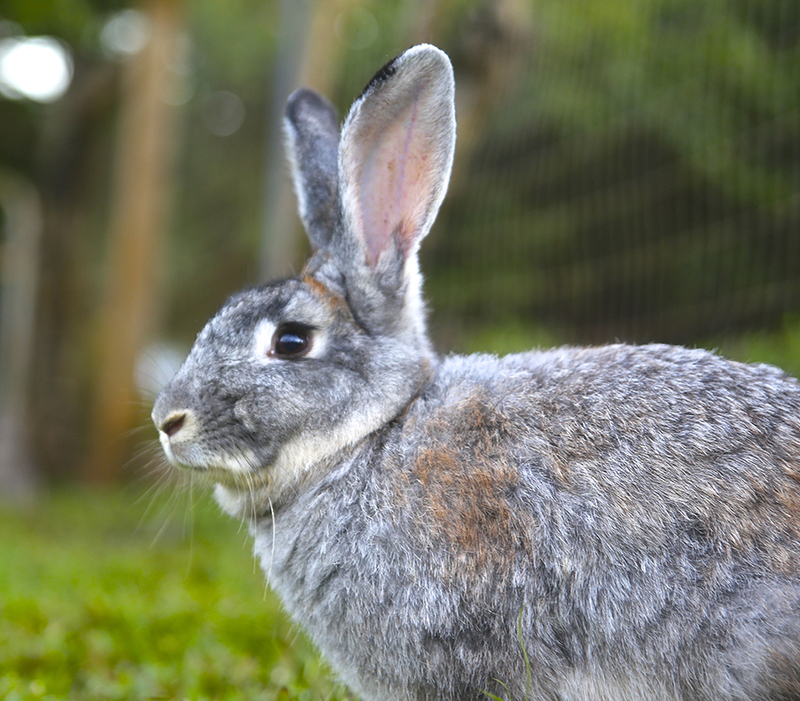 Roger lingered for a long time at the humane society and was transferred to Leilani Farm Sanctuary since nobody would adopt him.